When purchasing anything from the Bargain Basement you agree to these terms. Please read before placing an order. These terms apply unless otherwise noted in an items description. 1. All items carry a 15 day return policy, the buyer is responsible for shipping costs. 2. There are no warranties unless otherwise noted. 3. Unless otherwise noted units are new old stock, meaning they were never sold or were sold but returned for non technical reasons, and they come in their original boxes. 4. If you return an item the box must be undamaged, including no writing on the box and you must return all accessories. Also do not put a shipping label directly on the headset box. If you do that the return policy is void and you will not receive a refund. 5. Items in the Bargain Basement are discontinued meaning a lot of the replacement parts are not available or very hard to find. 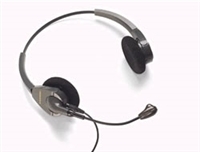 Plantronics P51 Polaris headset with a voice tube mic for use only with phones that have a headset jack and built in amplification. If you have any questions about compatibility please give us a call at 800-701-2289 or at 508-586-0117, available while supplies last. While supplies last we have in the Bargain Basement some great quality Plantronics units from the past that are still in great shape and applicable to today's office environments. The Plantronics H61 is the voice tube version of the H61N so it does not have noise canceling but it was still designed to be comfortable. These would be perfect for a small office where background noise is not that much of a factor. 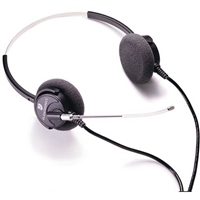 Plantronics P61N Polaris headset with a voice tube mic for use only with phones that have a headset jack and built in amplification. If you have any questions about compatibility please give us a call at 800-701-2289 or at 508-586-0117, available while supplies last. While supplies last we have in the Bargain Basement some great quality Plantronics units from the past that are still in great shape and applicable to today's office environments. 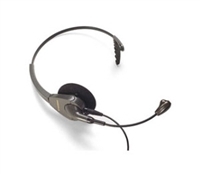 The Plantronics H51N features a noise canceling mic and even though its older it was still designed to be comfortable. You get the early ancestor to the HW510 for nearly $50 less than the modern unit. The H51N's we have available are new old stock units meaning they were never sold or were sold and returned for a non technical reason. 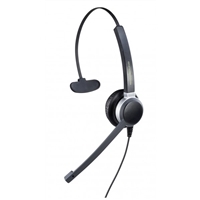 Plantronics P51N Polaris headset with a noise canceling mic for use only with phones that have a headset jack and built in amplification. If you have any questions about compatibility please give us a call at 800-701-2289 or at 508-586-0117, available while supplies last. Available while supplies last, the Plantronics Polaris P91. Please see below for more information. 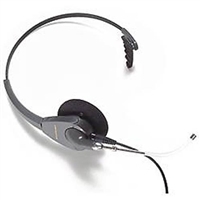 Plantronics P61N Polaris headset with a noise canceling mic for use only with phones that have a headset jack and built in amplification. If you have any questions about compatibility please give us a call at 800-701-2289 or at 508-586-0117, available while supplies last. 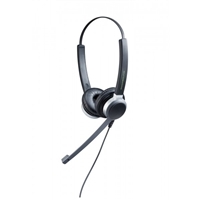 Available while supplies last, the Plantronics Polaris P91N. 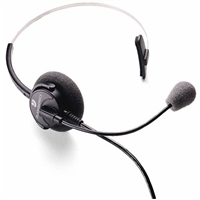 This is the noise canceling version of the P91, please see below for more information. 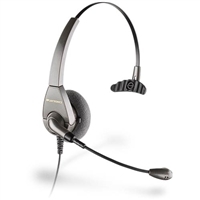 Available while supplies last, the Plantronics Polaris P101N. Please see below for more information. Now available in the Bargain Basement while supplies last, the Plantronics H91N. Please see a list of detailed features below. Discontinued Crystal 2801's are available in the Bargain Basement while supplies last. 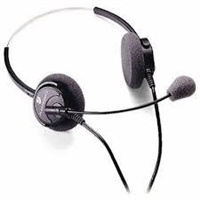 These units have nice quality noise canceling mics and are very comfortable for all day use. These are Brand New units but because they are discontinued you get them for over 40% off the original price of $85.00 ! The discontinued Crystal 2802 is available in the Bargain Basement while supplies last. 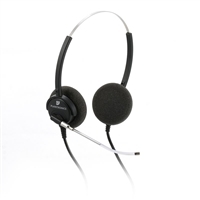 These units have nice quality noise canceling mics and are very comfortable for all day use. These are Brand New units but because they are discontinued you get them for over 40% off the original price of $103.00 ! Currently available while supplies last a combo of the high quality premium GN-9120 Duo and a fresh battery to ensure a quality user experience. If you were to buy the replacement to this unit the 9125-Duo and a spare battery you would be right around $300 if you buy this combo you save $175! per unit. Please see below for an overview of features.